MCL is participating in the USC/VSoE safety and Security Initiative Project to develop advanced video surveillance programs using a CNN-based object detection algorithm. MCL director, Prof. C.-C. Jay Kuo, proposed a plan for introducing a robust and accurate detection, tracking and recognition algorithm into the existing USC Department of Public Safety’s (DPS) surveillance infrastructure. 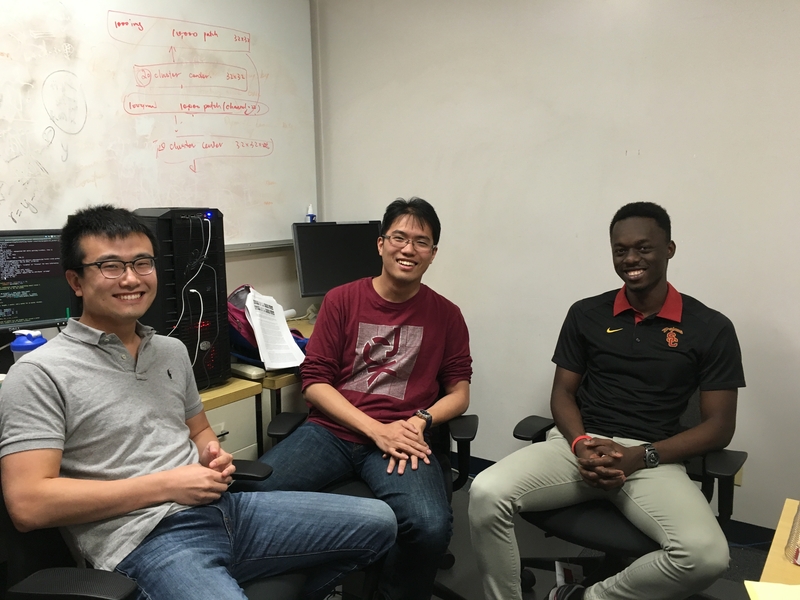 Two MCL PhD students, Hao Xu and Eddy Wu, will be developing and implementing the proposed system. One master intern student, Terna Kpamber, has also been assigned to the project to implement the front-end user interface. The proposed system includes three functionalities. First, the visual data extracted from the DPS cameras will be processed and the metadata (car type, color, etc.) will be extracted out of the available video footage. Second, the metadata will be archived, organized, and utilized to determine the trajectory of the detected vehicle. Third, the vehicle behavior can be retrieved based on its trajectory. The MCL team appreciates the prompt assistance from the USC DPS officers in providing training data and validating the algorithm.